*CHAFING STANDS, STEAM PANS, FUEL CANS AND ALL SERVING UTENSILS ARE INCLUDED. 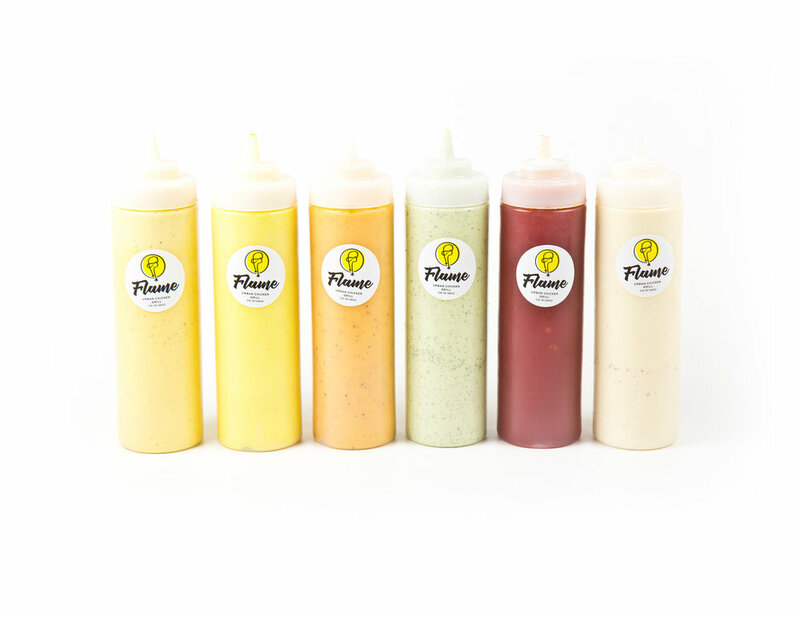 At Flame we bring you the chance to build your own bowl or salad. Our simple step system will help you create a one-of-a-kind unique masterpiece. Servers are available if needed. Your catering contact can go over pricing and required lead times. OVEN ROASTED SEASONED POTATOES, PARSLEY GARLIC CREAM WITH PARMESAN CHEESE. FIRE ROASTED CORN ON THE COB BRUSHED WITH OUR SECRET SAUCE AND SPRINKLED WITH A BLEND OF THREE CHEESES. For orders with less than 20 place your order through one of our listed delivery partners or call and place the order for your pick up.